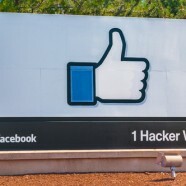 Home » Digital Lifestyle » Wisdom.Applied Wednesday: Will Facebook Become The New Google? Wisdom.Applied Wednesday: Will Facebook Become The New Google? Unsurprising to anyone, Google is the Internet’s number one website. Clearly Google’s search engine site is extremely popular, but Google’s other web applications–Google Maps, Google Drive, Google Play, Google News, etc.–have made digital giant the “King of The Internet.” However, it’s possible that Google may have to hold tightly to that crown in the next few years as industry leaders are wondering if Facebook (with its 1 billion users) might become the next Google. One trend working in Facebook’s favor is an increase in mobile Internet usage. Facebook users spend about 20% of their time on the social networking site through mobile Internet and 30% of users only use the mobile version of the site. Aquiring Instagram and WhatsApp may help Facebook become a mobile giant. Although the two web applications do not bear the Facebook name like Google’s other apps, they still contribute to Facebook’s increasing presence across social networking, imaging, messages and VoIP. Facebook does have an edge over Google when it comes to advertising due to the fact that their information is based on real people, as opposed to the anonymous cookies that Google uses, but the social networking site is releasing a new advertising platform in hopes of competing with Google. The new platform is called Atlas, and it is supposed to help marketers keep track of the Facebook users who have interacted with ads, both on the social networking site as well as third-party websites. Marketers will also have the opportunity target Facebook users by purchasing ads; this aspect of the platform is seen as an aid to help Facebook take on the online advertising power of Google. By providing marketers with more detailed information on their ad campaigns and the consumers that interact with those campaigns, Facebook might be able to eventually close their large advertising revenue gap with Google (Google had a second-quarter ad revenue of $14.68 billion in 2014, while Facebook reported $2.68 billion). Do you think Facebook will take the crown? No way! Google will rule forever. Surrender Google, and make way for the new king. Jenny is a Junior Executive at SJG. She earned her BA in Psychology and a minor in Educational Studies in 2014 from Colgate University. Outside the office, Jenny loves to travel (usually to Disney World), bake and watch copious amounts of TLC.